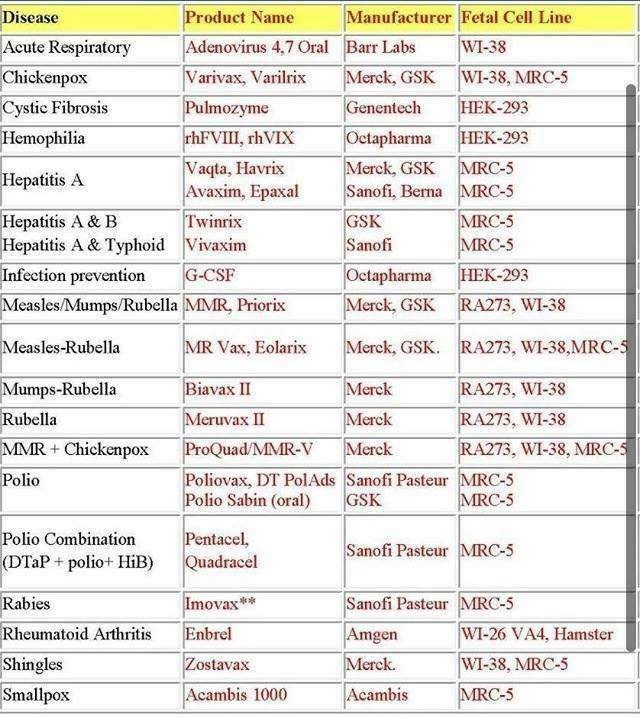 [2011 March] Vaccines and autism: a new scientific review Ratajczak also looks at a factor that hasn't been widely discussed: human DNA contained in vaccines. That's right, human DNA. 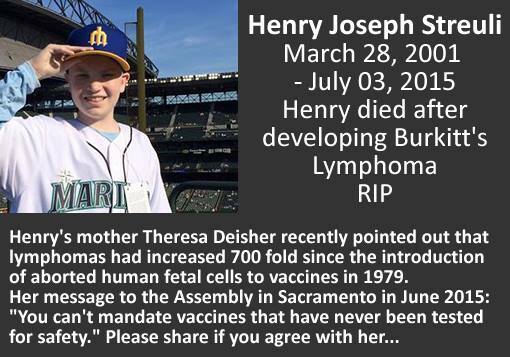 Ratajczak reports that about the same time vaccine makers took most thimerosal out of most vaccines (with the exception of flu shots which still widely contain thimerosal), they began making some vaccines using human tissue. 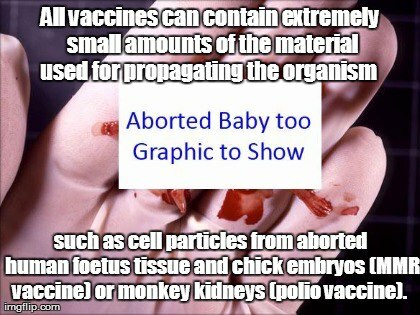 Ratajczak says human tissue is currently used in 23 vaccines. 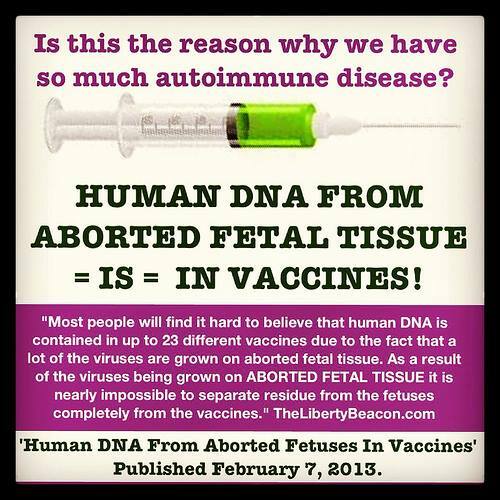 She discusses the increase in autism incidences corresponding with the introduction of human DNA to MMR vaccine, and suggests the two could be linked. 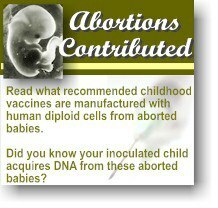 Ratajczak also says an additional increased spike in autism occurred in 1995 when chicken pox vaccine was grown in human fetal tissue. 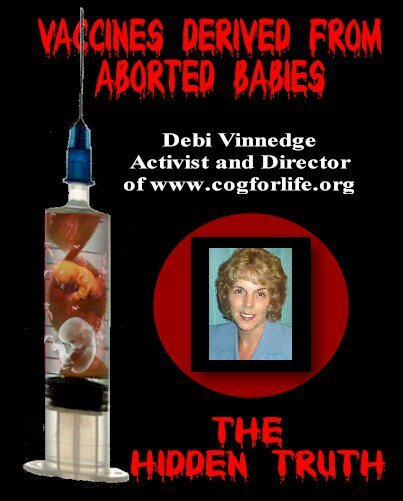 IS ABORTED FETAL DNA LINKED TO AUTISM? 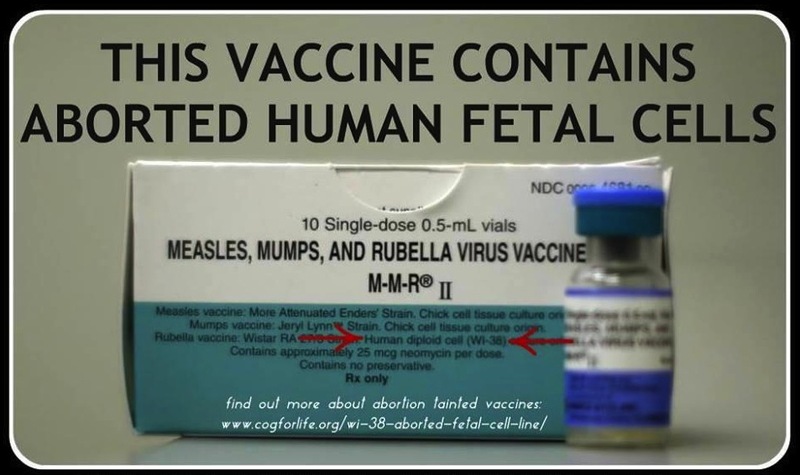 By Theresa A. Deisher, Ph.D.
MRC-5 (Medical Research Council 5): MRC5 originates from the lung tissue taken from a 14 week male fetus aborted for "psychiatric reasons" from a 27 year old woman in the UK in the 1970s.